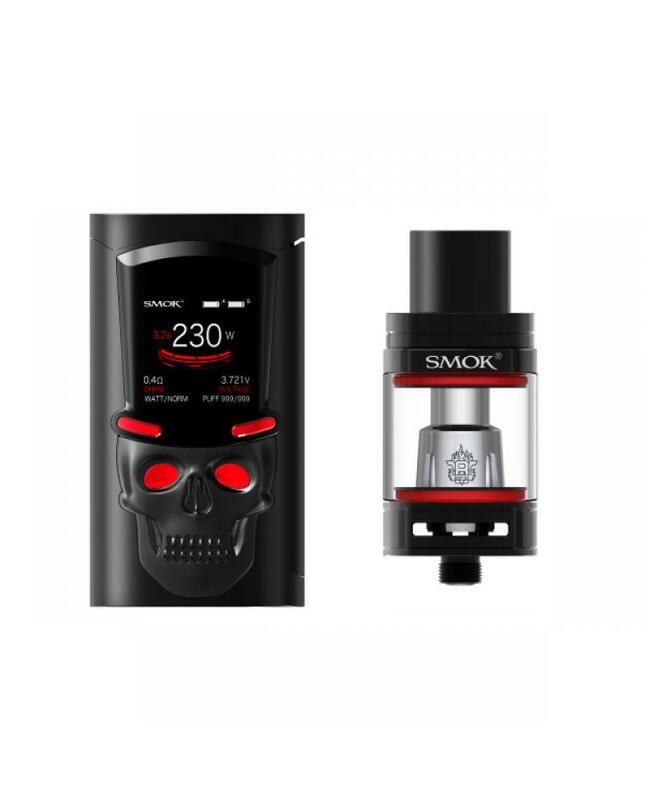 Smok S-Priv Newest Box Mod Kit, which with sparking light, mysterious skull, hat-shaped OLED screen. 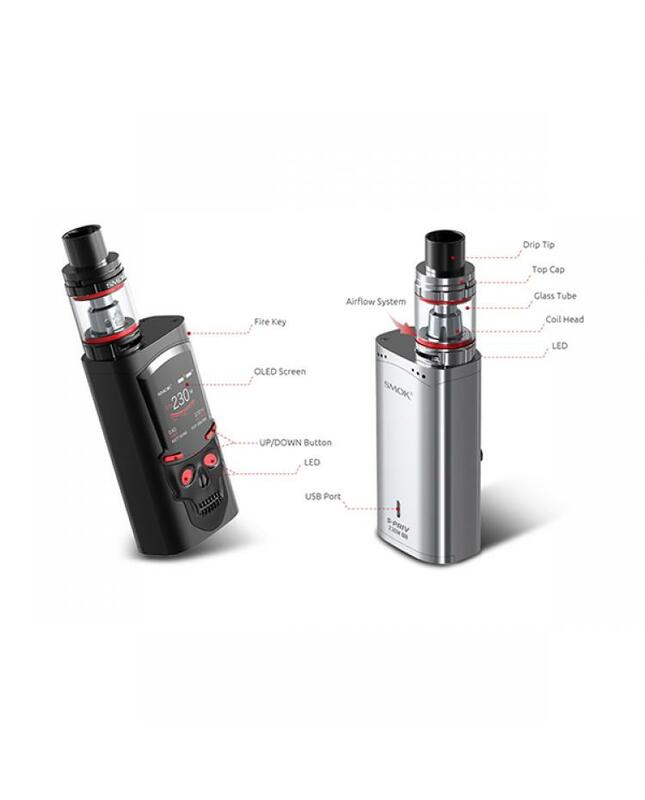 the new vape kit includes S Priv Box Mod and TFV8 big Baby Light Tank. six fashionable colors available. 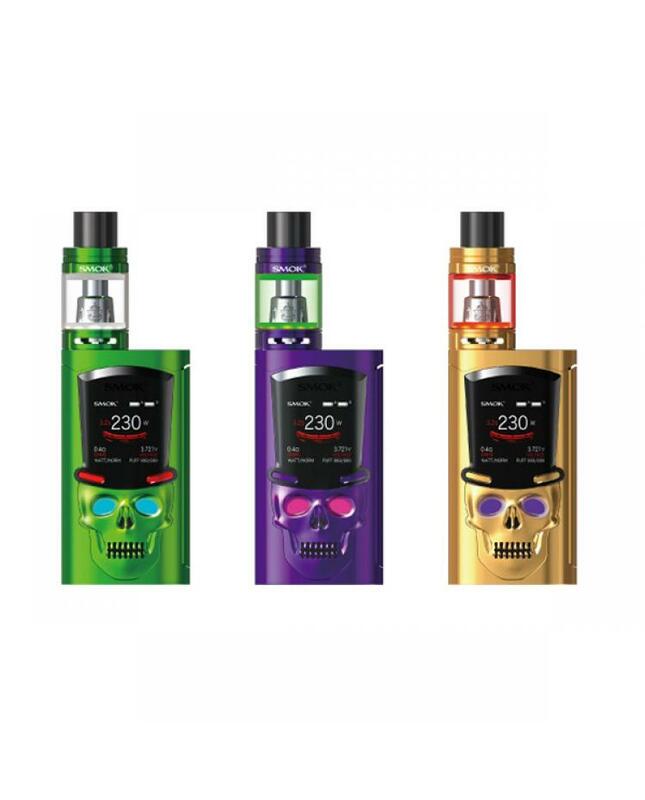 the s priv mod has a skull with a big hat, whose eyes have built-in LED and can shine in 12 different colors, which is scary and mysterious. 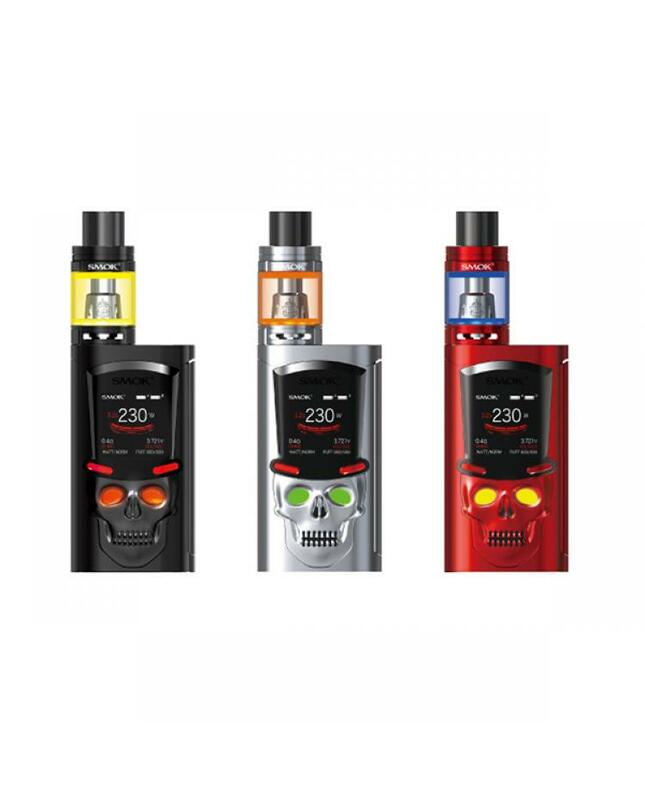 the skull's eyes can shine in 12 different colors, the blood red etc, and there are 3 light styles for you to choose from, normal, flash and fade.the side adopts big lateral power button which is easy to fire on, simply press you can start vaping. the high definition OLED screen, which is to give you better user experience, you can see vaping data more clearly such as working modes, vaping effect, working voltage, battery life etc. the spriv mod with dual battery life indicator light, it will show you the accurate conditions of these batteries. the s-priv powered by 2pcs 18650 batteries and max output 225watts, supports resistance as low as 0.05ohm under temp control working modes, vapers can select the wattage mod and memory mode too. temp mode can enhance the consistency and taste of every puff, watt mode is perfect for cloud chasing, memory mode can be your intelligent vaping partner. the flip-open battery door design allows vapers to replace the batteries easily. multiple functions to ensure the vape safe and reliable. the shining TFV8 Big Baby Light Tank, which can hold 5ml e juice, hyper engines, and dazzling light, will produce a large cloud of vapor and flavor. will bring you a better vaping experience. the innovative design of smoktech s priv kit keeps changing the vaping.